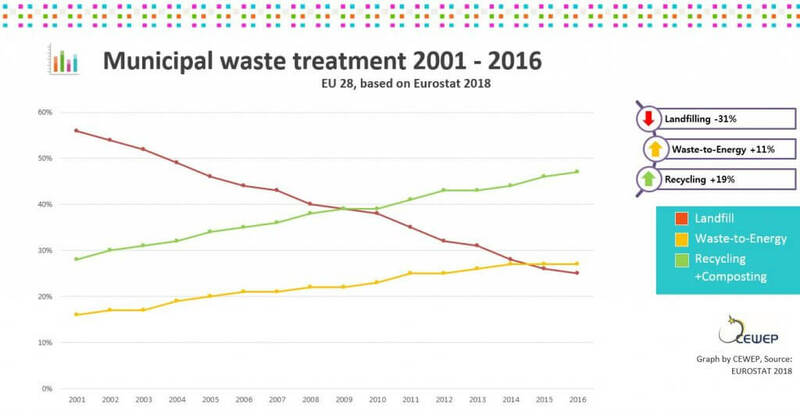 Each year after publication of the Eurostat figures for Municipal Waste Treatment, CEWEP produces many graphs based on this data in order to show the state of waste treatment in Europe. 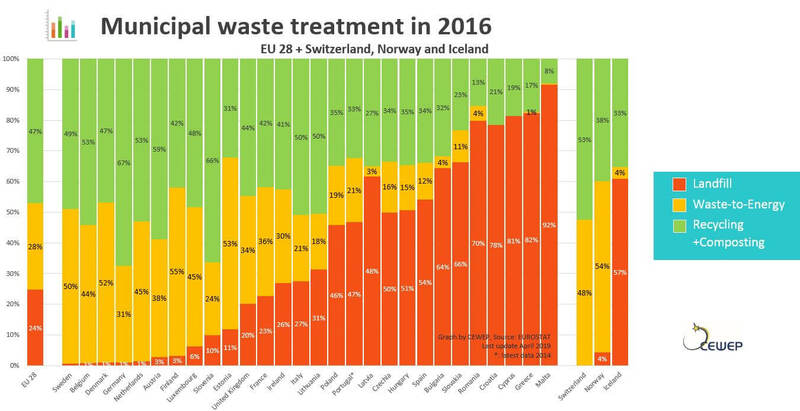 This particular graph shows the share of recycling (including composting), waste-to-energy and landfilling of municipal waste in each EU Member State (plus Iceland, Norway and Switzerland), sorted by share of landfilling. In 2016 the leading country for recycling is Germany, with 66% of municipal waste either recycled or composted. While 7 Member States landfill less than 10 % of their waste – which is the target set by the new Landfill Directive for 2035 – 8 Member States still landfill more than 60 % of their municipal waste. The graph can be downloaded here or on clicking on the picture below. Discover CEWEP’s brand new Waste-to-Energy Plants map, with individual plants’ location and capacity.